TripAdvisor (TRIP) shares tumbled 9%Wednesday after CEO and founder Steve Kaufer told a Canaccord investment conference that summer travel trends have been weaker than expected and that visitor traffic has been missing the company’s target for what is typically the industry’s busiest season. “I don’t generally provide updates in the quarter, but if I have to, the update this quarter is like I’m not seeing a lot of positive stuff,” Kaufer said in a talk with analyst Michael Graham at the Canaccord Genuity 33rd Annual Growth Conference in Boston. via TripAdvisor Shares Dive On CEO Summer Travel, Site Traffic Warnings – Investors.com. 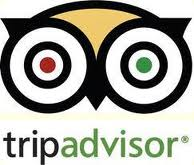 This entry was posted in Travel Management, Travel Marketing Service Provider and tagged Travel Marketing Services, TripAdvisor by The Travel Marketing Store. Bookmark the permalink.